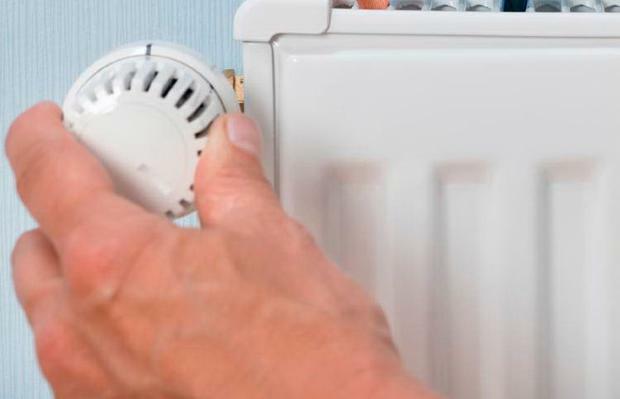 Irish families are paying as much as €250 more for their energy bills this year than they did in 2017 - due to the series of price hikes that have kicked in since the start of the year. "We've been in a cycle of electricity and gas price hikes for about a year-and-a-half - and it looks like it will continue this way," said Eoin Clarke, managing director of the price comparison website, switcher.ie. "Some of these price increases have been sizeable - some have been around 12pc. A 12pc increase could add nearly €100 to your annual electricity bill, depending on how much electricity you use." The latest of the price rises - from Flogas, Panda Power, and Pinergy - took effect earlier this month. Some energy suppliers have increased their prices twice since January. For example, SSE Airtricity's second electricity and gas price hikes of the year will kick in on December 3. Energia has just announced that it will increase its gas and electricity prices from this January. The jump in your energy bill will be sizeable if you're with a supplier who has increased its prices twice so far this year. For example, Flogas's two price increases this year have added €173 to the average gas bill, according to switcher.ie. A family who has electricity and gas with either Panda Power or SSE Airtricity has seen the total cost of their energy for this year increase by €254 - assuming the family has typical bills, according to switcher.ie. Like SSE Airtricity, Panda Power has increased its prices twice this year. "It's more important than ever to switch to a cheaper provider - not only because we consume more energy during the winter but also because of these price hikes," said Clarke. "If you haven't switched supplier in the last 12 months, there's a genuine opportunity to save money." You could save up to €290 a year by switching both your electricity and gas to a new supplier, according to switcher.ie. To get the best energy deal, you must usually move to a new supplier - or return to a supplier which you left before. Be prepared too to get online bills and to pay your bills by direct debit - as this will typically secure you the best discount. Even if your energy supplier tries to hold onto you by offering you a better deal than the one you're currently on, chances are you'll get a better discount elsewhere. "Energy suppliers are keen to hold onto their customers and are offering retention deals," said Clarke. "However the discounts you'll get under a retention deal won't be as good as those available from new suppliers. For example, the best discount you might get under a retention deal could be around 16pc - but you might get a discount of around 30pc by going elsewhere." Some suppliers offer switching bonuses or cashback and these can certainly slash your bills. Switching bonuses are usually higher if you switch two fuels to a new supplier. SSE Airtricity, for example, offers a €200 bonus - as well as a 10pc discount - to those who switch both their electricity and gas to it. Such bonuses or cashback deals though are typically only offered to new customers once - and so the benefit will run out after a year. As your energy bills will become more expensive the year after a cashback or switching bonus, once your contract is up, switch to a cheaper supplier to ensure you get the best deal. The Sunday Independent surveyed the discount deals offered by the main energy suppliers to new customers. We examined the cost of standalone electricity and standalone gas for a family which uses the same amount of energy as an average household (4,200 units of electricity a year and 11,000 units of gas a year). The family lives in an urban area and doesn't have a Nightsaver meter. The best standalone electricity deal for the family is Energia's 29pc discount and €50 cashback deal, according to this paper's survey. Under that deal, the cost of the first year's electricity comes to €808 (including the cashback). You must sign up to direct debit and online billing to take up this deal - and quote the promotional code 'Cheapelec' when registering. However, if signing up to this deal, make a note in your diary to remind you of when your contract will come to an end. At 21.4c, Energia's charge for a standard unit of electricity is one of the most expensive in the market - and is what you can expect to be moved onto once your discount expires. So it will be important to switch to a cheaper provider once that discount is up. Electric Ireland has the second-best standalone electricity deal - through its 5.5pc discount and €150 online switching bonus offer. Under that deal, the cost of a year's electricity comes to €811 (including the switching bonus). Conditions of the deal include online billing and payment of bills by direct debit. Be aware that you can only get one switching bonus from Electric Ireland within a year. So if you get a switching bonus from Electric Ireland when moving to its standalone electricity deal, you will not be able to take up the switching bonus on Electric Ireland's standalone gas deal later on as well. However, if you switch both your electricity and gas to Electric Ireland at the same time, you'll get a switching bonus of €200 - provided you do the switch online. The next best standalone electricity deal is Bord Gais Energy's 24pc discount - which is only available through bonkers.ie. Under that deal, the cost of a year's electricity comes to €832. To get the discount, you must sign up to online bills, and pay your bills by direct debit and Level Pay (where you pay the same amount for your electricity every month). The cheapest standalone electricity deal from SSE Airtricity is its 10pc discount and €135 cashback offer. Under that deal, a year's electricity currently costs €837 (including the cashback). However, the cost of a year's electricity under this deal will be higher once its December price rises kick in. The cheapest standalone gas deal for the family is Electric Ireland's 5.5pc discount and €75 online switching bonus offer. Under that deal, the first year's gas costs €680 (including the €75 switching bonus). Conditions of the offer include online billing and payment of bills by direct debit. Just Energy's 24-month online exclusive deal is the second-cheapest gas offer. Under that deal, the cost of a year's gas comes to €719. At €49.05, the standing charge under this offer is about half that charged by most other suppliers - and is the main reason Just Energy it is second-cheapest for gas. To get this deal, you must sign up to a two-year contract, pay your bills by direct debit and receive online billing. You must also sign up for the offer through switcher.ie or bonkers.ie. Another good deal is the 14pc discount available from Bord Gais Energy. Under that deal, the cost of a year's gas comes to €723. To get the discount, you must sign up to online billing, and pay your bills by direct debit with Level Pay. Be sure not to break a contract when switching as you could be hit with an exit fee of up to €100, or more, if you do so. Any exit fee will eat into what you could potentially save by switching so wait until your contract is up before you move. You can usually leave a supplier after a year without incurring any exit fees - unless you have signed up to a contract which lasts for longer than that. Know exactly when your contract with a supplier is up as any discount you have will usually expire at the end of the contract - and so you'll pay more for your energy from that point. Being on the ball with your energy bills can help you save hundreds a year - or thousands over a few years - so it's worth it.